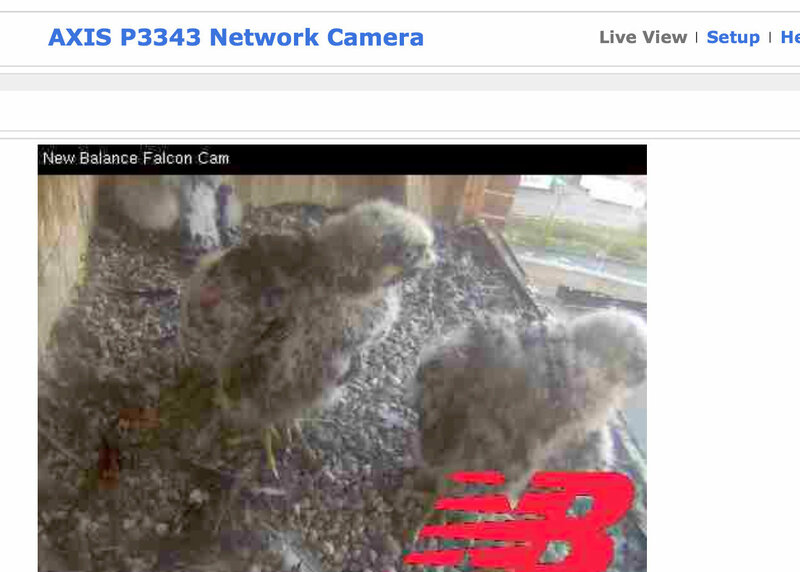 You are browsing the Blog for peregrine falcon chicks ready to fledge. Day 35: wing muscles stronger! Happy Father’s Day! The peregrines started the day with clear skies, bright sun, calm wind conditions, and temp at 67F. Sunrise at 5:06 AM. Day ahead calls for sunny skies, with a high near 87. Calm wind becoming southeast around 6 mph in the afternoon. 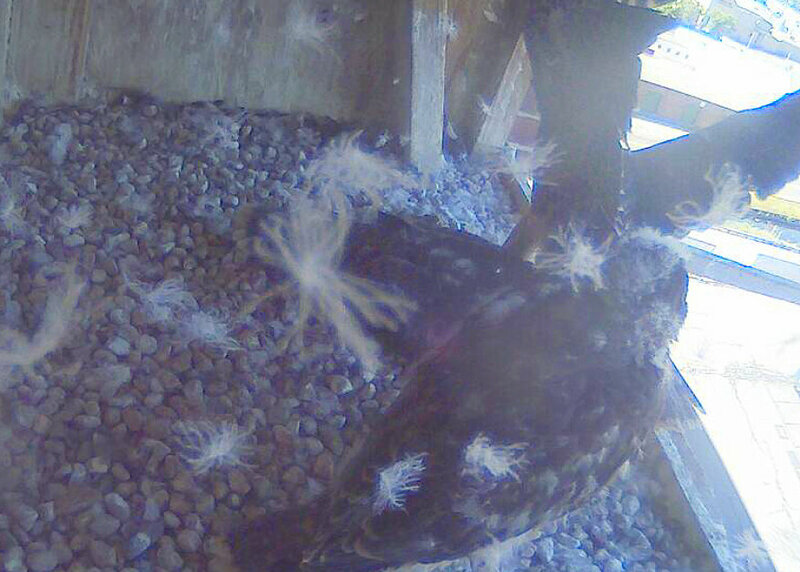 The chicks are ramping up the wing flapping big time. At this point in the cycle, they are very active in movements around the nest box, and the biggest priority is working the wing muscles. While watching them, you are able to get a sense of anticipation, as they ready for first flight. They were working themselves into a frenzy just before 9AM. 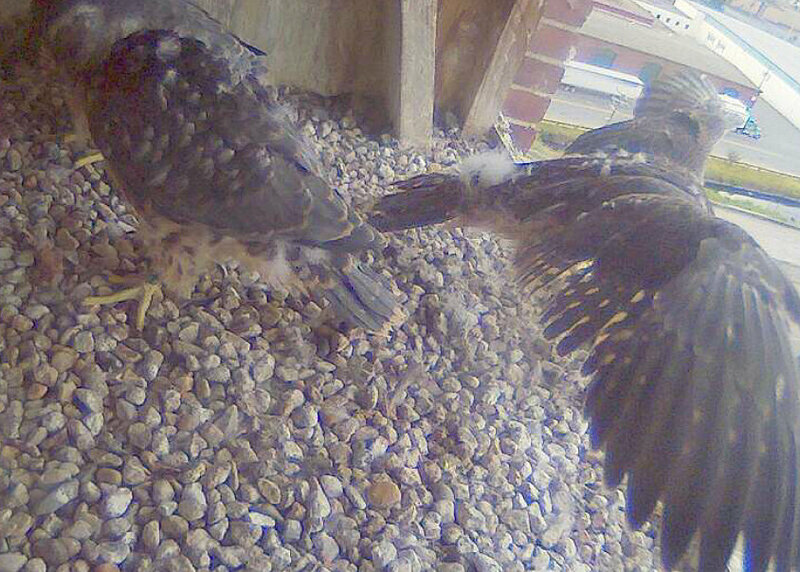 The action was so intense, they whipped bits of down and feather debris into the air around them inside the nest box, as seen in photo on left. On rare occasions male peregrines may take flight as young as 35 days, which is possible, as they are fully developed at this age. Usually they wait a few more days though, until their wing muscles are stronger through exercise in the nest area, and generally by the time they do take flight they have lost the last tufts of down. The female continues to provide regular feedings, and you can sense their readiness for the next feeding when then stand and call for food! 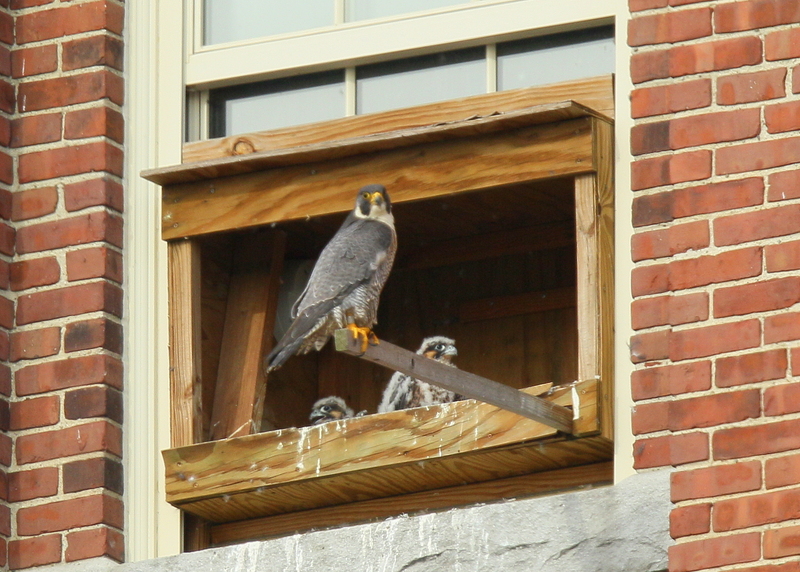 Peregrine female guards the nest box! The chicks remain under the watchful guard of mother bear who is usually now out of the nest box but always close by keeping her chicks under observation! 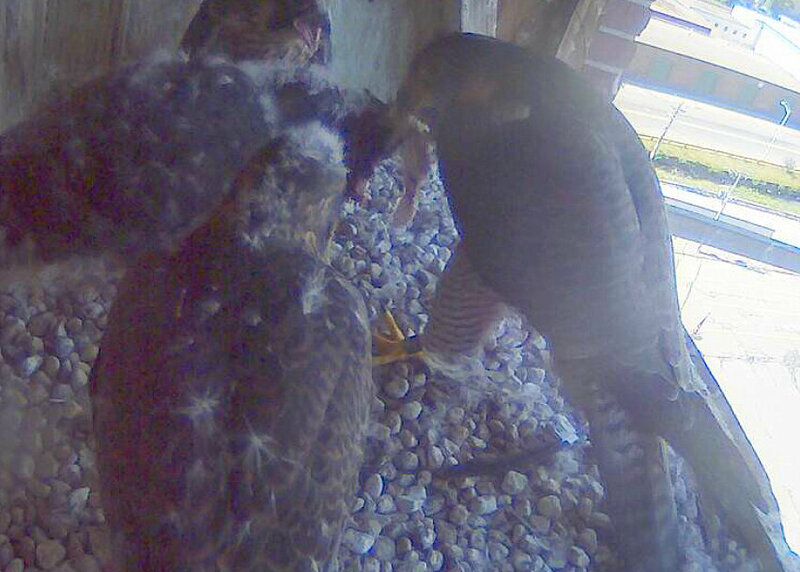 Chicks continue to move around the inside of nest box.